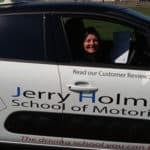 Jerry Holmes Driving School is a family run business and was established in 2003. We provide driving lessons in Westgate and the surrounding areas and our office is based in Broadstairs. 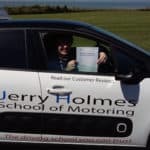 Jerry Holmes Driving School has been teaching learners to drive in Westgate for many years and its Driving Instructors are experienced in coaching you through your driving lessons and working as a team to give you a plan on the start and end of your lessons so you will go away with a plan of action knowing that you have understood what you have learnt in the lesson. 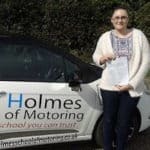 Learning to drive in Westgate and the surrounding areas in Thanet gives us a very large area to begin our driving lessons. Our Instructors have been teaching in these areas for many years and have had lots of experience in teaching new pupils and also pre-experienced drivers. They will guide you through your training and when you have the confidence and beneficial driving skills to be safe on the road. You will be able to travel to many areas and to your local test centres. When you have passed your driving test you will have enough skills to drive around the many places in the UK safely. To see our latest driving lesson prices, please visit our Prices page. A unique place to start your first driving lesson. There are great long roads to learn those driving skills; moving away and stopping, building your speed up and changing your gears. You will develop these techniques which will enable you to travel to other towns and practice other skills to be a confident driver on the roads. Once you are adequate enough you’re driving Instructor will get you to drive out to the rural countryside and dual carriage ways practicing you hazard perception skills. The driving industry has changed many times over the years and like most jobs we have to train to keep up with the changes. So our Instructors are CRB checked for your safety and attend regular meetings and training so they are up to date with the latest training techniques to deliver what we call client centre training which means we don’t instruct you what to do in a driving lesson but discuss a plan of action as everyone is different and some learn in different way. 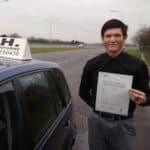 This is why our driving Instructors put our customers first and in the long term gives you quality in your driving lessons in Westgate and also giving you the best customer service as we can. You can learn more about our driving instructors on our Meet The Team page. 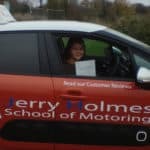 Looking For Driving Lessons In Westgate?